A watercolour of the Stockholm ferry called Västan, an old steamer from 1900 and still going strong.This was the first time I painted in this large a format of 70 x 50cm. It's kinda scary, because so much can go wrong. Thankfully I didn't make too many mistakes and I'm happy with the end result. Västan 75 x 50 cm, Arches rough 300g. 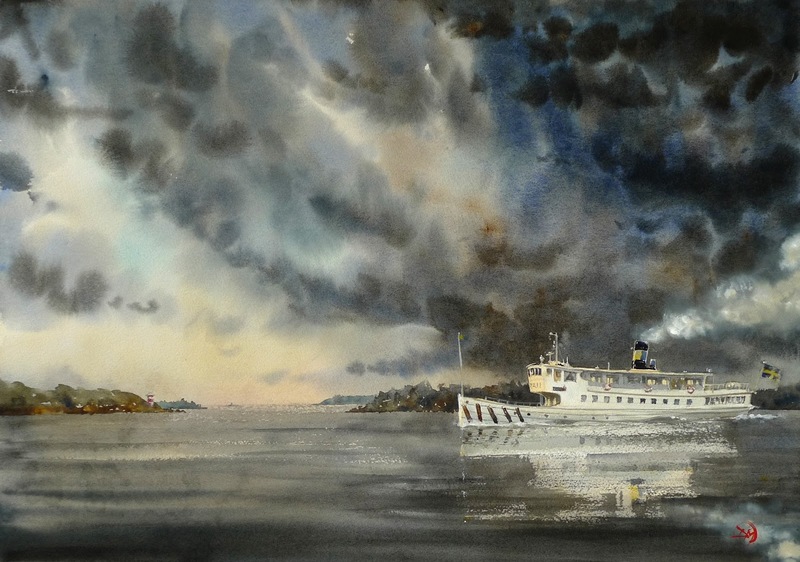 Beautiful and dramatic watercolor your technic in wet on wet is fantastic, color wonderful and composition a good one. A real winner. Thank you setxu! This one is important to me, I took another step in my development when I painted it last week. To paint in a large format is challenging to say the least.